As you know by now, this is our fundraising week. When you consider whether you’re going to donate to the site, think about the authors who write here and the diverse styles they bring to our coverage of the Cincinnati Reds. Ã¢â‚¬Â¢ Chad Dotson and I write feature posts and many of the game recaps. 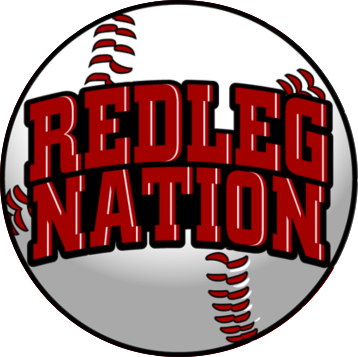 You may like reading some of us more than others, but overall you’ll find a lot of strong content at Redleg Nation. We love our writing staff. They’re talented, great to work with, give their best, and most of all, they meet deadlines! Chad has long said he would like to compensate the writers. More than the free hat or shirt. We do pay for an end-of-year game and meal, but we’d like to do more. Your financial contribution not only defrays the cost of hosting and managing the site, it allows us to take care of the writers. ItÃ¢â‚¬â„¢s easy to donate. You donÃ¢â‚¬â„¢t have to fill out a membership form. You donÃ¢â‚¬â„¢t even have to leave to go to a separate fundraising site. Just click on the DONATE button in the right column. For mobile users, itÃ¢â‚¬â„¢s just as fast and simple on your phone, scroll down the front page and youÃ¢â‚¬â„¢ll see the button. You can make a one-time contribution or set up monthly payments. Donating is super easy and takes a minute or two. We use a PayPal account, but you donÃ¢â‚¬â„¢t need one yourself to donate, just a credit card.